The connection between stress and productivity is well known and well documented. The first study on this link dates back to 1908, when the psychologists Robert Yerkes and John Dodson demonstrated that a relationship between the two phenomena exists, but it’s not a linear one. 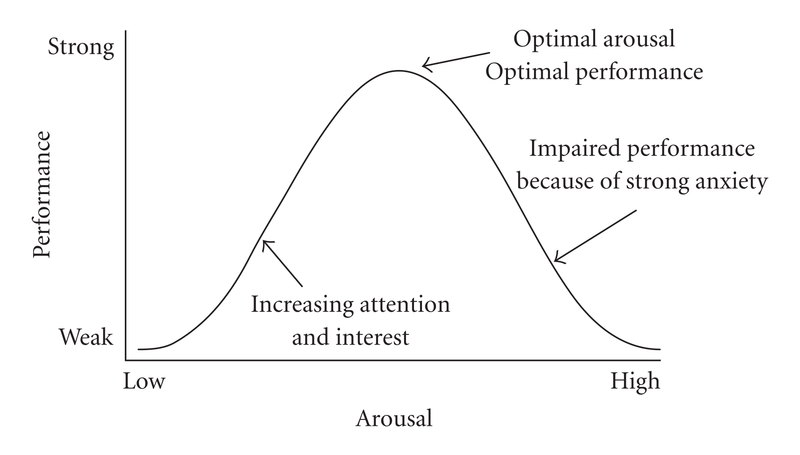 When the stimulus (stress) is too low, our productivity suffers. But as the stress level rises, so does our productivity. This means that stress gives us more focus and helps us stay on task – but up to a point. In fact, when stress is too intense, our productivity drops because fatigue kicks in. If we turn up the pressure even higher, the outcome could be much more severe, not just for productivity, but in personal consequences too. At first, individuals who are motivated and committed put all their energy into “going the extra mile”, and they feel they can make it. They try to cope with stress simply by ignoring the subtle danger signs and getting on with things, juggling all their duties as best they can. But then comes the breaking point. Excessive stress takes its toll: work exhaustion, depression, illness, divorce. This is the limit, and the personal price to pay is far too high. Organizations increasingly expect people to be willing to ‘go the extra mile,’ in other words, to adopt habits at their own discretion that go beyond their formal roles. This could mean anything from helping a colleague without being asked to taking on greater responsibilities, working long hours or spending weekends or late evenings on call. These kinds of behaviors are generally associated with higher commitment, a sense of identity built around one’s career, and individual motivation. What’s more, organizations where extra-mile behaviors are commonplace can gain collective advantages in terms of developing social capital, boosting productivity and diminishing turnover. So there’s no doubt that when people show they’re motivated beyond the call of duty, when they work hard and put in the extra effort, they generate positive outcomes for themselves, for their careers and for the organization. But on the flipside, there is evidence of physical and cognitive limitations to this approach. These are particularly evident when ‘the extra mile’ isn’t just one, but turns into two, three, five, ten miles – ultimately becoming an all-out marathon, a never-ending rat-race. The dark side of the extra mile emerged in a study run by SDA Bocconi, an Italian business school, involving 650 participants. According to the findings, when people feel pressured by their company to do more than their jobs require, they experience a significant increase in fatigue. In fact, individuals under intense extra-mile pressure present a 50% higher rate of fatigue compared to others who are not subject to the same kind of stress. The study defined fatigue as “an individual state in which feeling worn out, tired, or on edge is attributed to engaging in behaviors that go above and beyond individual’s duty.” But what are the reasons behind this outcome? Briefly, people face a twin challenge: they’re expected to go the extra mile as a matter of course, with the sort of striving that might once have earmarked someone for promotion or an excellent performance review now seen as the status quo. At the same time, the core responsibilities haven’t gone away, so people’s limited stock of time and concentration is over-stretched. Expectations of excellence in the role combine with pressure to go beyond the role. The cumulative effective of this is fatigue. But what may be the most interesting aspect that emerged from the study has to do with the spillover effect, which touches people’s private lives: they need more time to recover the energy they’ve expended at work, and they display more aggressive behavior with family members at home. The study also involved employees’ partners, asking them questions such as whether he/she gets irritated easily, or is very critical, or ignores others when they get home. – Raise awareness among supervisors on the essential role they play in guiding individual behaviors. Supervisors are fundamental to striking a balance between the working lives and private lives of their personnel. They are the ones who need the insight to realize when extra exertion is necessary, and when instead they have to give their people more space. For example, consider an auditing firm that might expect superhuman effort from employees to close year-end financial statements, but then would (or should) give them the flexibility of extra vacation days. – Implement organizational policies that promote a balance between professional and private life. Some companies don’t let their personnel read business emails after 6 pm or during the weekend. For example, the power distributor Elektro, voted best company to work for for 5 years in a row in Brazil, automatically switches people’s computers off after 10 hours. Others allow their employees to write emails after work, but they program the office servers so that these emails aren’t delivered until the following morning. – Grow an organizational culture oriented toward long-term results, one that takes into consideration the well-being of all collaborators, instead of simply looking at short-term performance indicators alone. Foster a culture that can intercept the danger signs of stress and take appropriate action, that rejects the attitude that working 60 or 70 hours a week is normal, and refuses to let work hours and quick response time after hours become the primary criteria for hiring or for awarding promotions. – As leaders and managers, we have the duty to both stretch people with challenging goals and protect their mental and physical wellbeing. The extra mile benefits no one if it becomes a breaking point.